Looking for transportation between Manhattan and New York’s cruise ports? What are the best, quickest and easiest options? If you’re boarding a cruise in New York, it’s quite a good idea to add a few days to your trip to explore the city itself. You’ll be there anyway! There are three different cruise ports in New York: the Manhattan Cruise Terminal, the Brooklyn Cruise Terminal and the Cape Liberty Cruise Port in New Jersey. For each of these ports, I’ve explained the best means of transportation between these ports and Manhattan below. When I mention ‘hotel’, I mean a Manhattan hotel, or any other place in Manhattan for that matter. Would you like go to a different part of the city? Then use the car service, mentioned below, as well. You can use this step-by-step plan for any New York address. The Manhattan Cruise Terminal is located right in the city centre, which makes it very easy. Grab one of the many cabs driving around, to take you to the terminal. At the terminal itself you’ll also find plenty of cabs to take you to your destination in New York City. The Brooklyn Cruise Terminal is situated at about the same latitude as Governors Island and you can get there with a taxi. Another similar but cheaper option, however, is car service with a driver. Select ‘New York (hotels)’ from the second drop down menu (‘To’), then select your hotel from the list. Is your hotel not listed or do you have another destination? Choose ‘New York (Manhattan)’ and manually enter the address you want to go to. Enter the date, pick-up time and the number of passengers. Tip: The more people you share the car service with, the cheaper the individual price becomes. The difference can be quite substantial! Choose the car you like. You’ll see the price right away. Note that tips and tolls are additional. Enter your personal details and choose your form of payment. I recommend to choose the “cash” option, then you pay the driver in cash. Select ‘New York (hotels)’ from the first drop down menu (‘From’), then select your hotel from the list. Is your hotel not listed or do you have another point of departure? Choose ‘New York (Manhattan)’ and manually enter the address you want to depart from. Choose the car you like. You’ll see the price right away. Note: tips and tolls are additional! Enter your personal details and choose your form of payment. I recommend the ‘cash’ for example, you’ll pay cash to the driver. Cape Liberty Cruise Port in New Jersey is such a long distance from Manhattan, I certainly don’t recommend taking a taxi. The taxi driver is allowed to charge you a special, premium price since the taxi has to cross state borders. You could easily end up paying double. I personally would choose a car service with a driver: it’s the same idea as taking a cab, only cheaper. If you book it in advance, it’ll be cheaper than booking it on the spot. Enter the date, pick-up time and the number of passengers. Tip: The more people you share the car with, the cheaper the individual price becomes. Enter the date, pick-up time and the number of passengers. Tip: The more people you share the car service with, the cheaper the individual price becomes. Choose the car you like. You’ll see the price right away. Note tips and tolls are additional. If you have just arrived in Manhattan and your cruise is either about to end or to start, why not take the opportunity and explore New York a little closer. Even if you only have a couple of hours to spare, there are ways to make the most of it. Why not book a private chauffeur who will be your guide and drive you around. You will see some of the best sights of New York with the chauffeur as your guide. 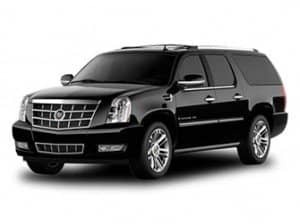 Your chauffeur will pick you up from the port you arrived at. Alternatively if you are about to embark on a cruise, your chauffeur will pick you up from your hotel and drop you off at the port at the end of the day. You will be back on time at the end of the day. Also if you need to cancel this tour due to your cruise being delayed, you will be refunded. A stress free way to make the most of the few hours in New York.